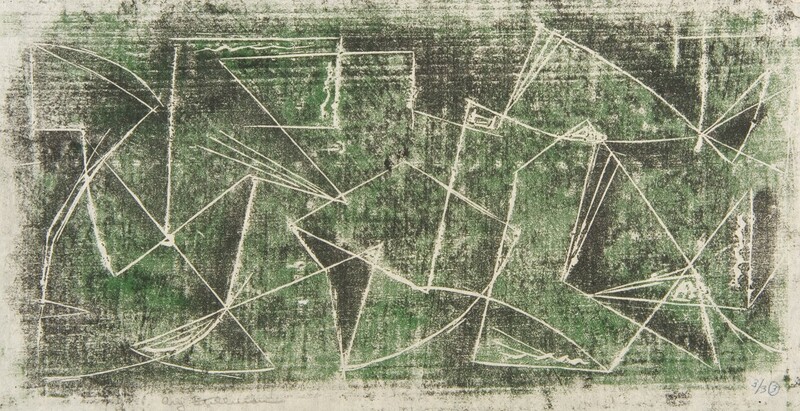 All works by Ary Stillman (1891-1967), Art Properties, Avery Architectural & Fine Arts Library, Columbia University in the City of New York, Gift of the Stillman-Lack Foundation, 2010. Ary Stillman (1891-1967) was born in Russia and as a youth emigrated with his family to the United States, settling in Iowa. Following his passion for art, Stillman made his way to New York City in 1919 and soon afterward went to Paris where he immersed himself in the avant-garde schools of Cubism and Surrealism. Gradually his figurative work became more abstract. 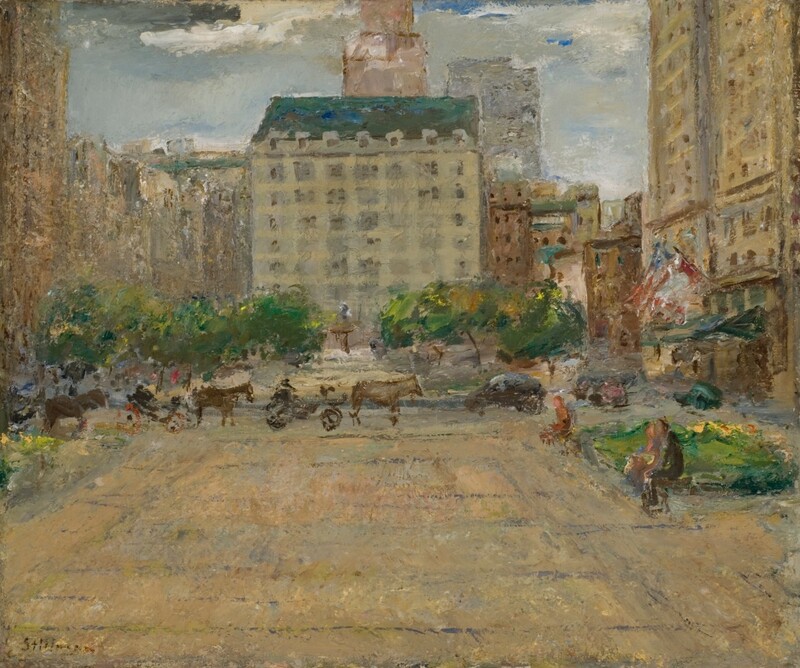 In 1933 he returned to New York where he worked for the WPA Federal Art Project. 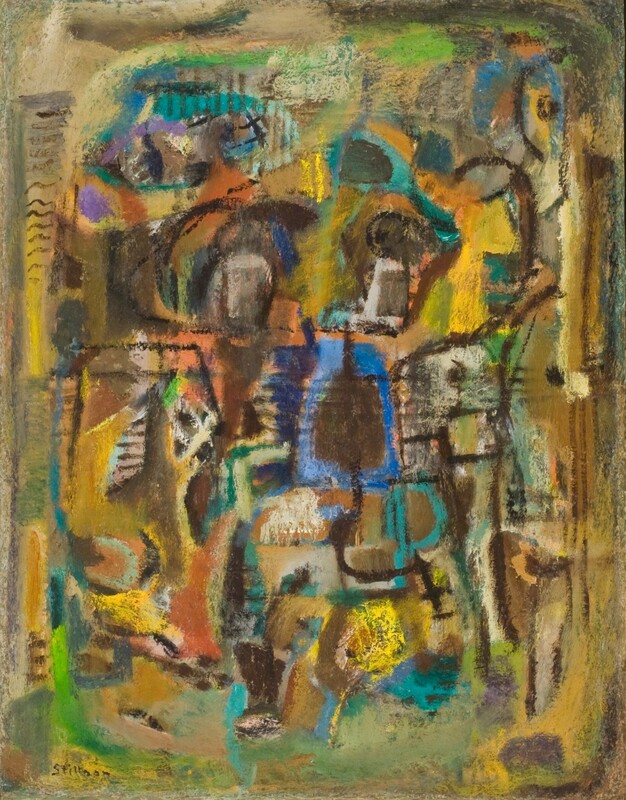 In the 1940s he joined contemporaries such as Willem de Kooning and Jackson Pollock in becoming part of the New York School. 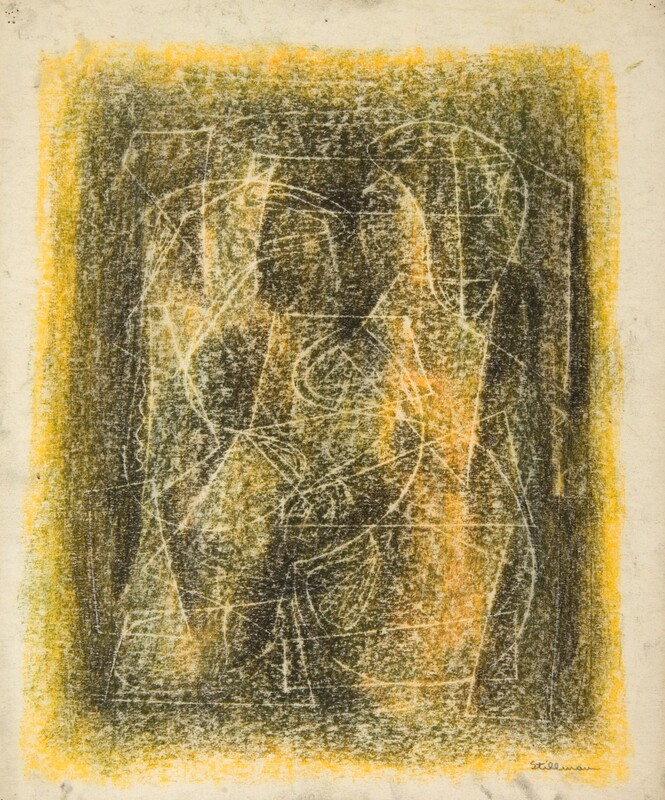 Stillman focused on smaller works, particularly on paper, and his intaglio experiments with inkless pens, in which automatic white lines only appeared after impressing charcoal or pastels across the paper, led to his own interpretations of Abstract Expressionism. During the 1950s he spent much of his time in Provincetown, Massachusetts, and in 1957 he relocated to Cuernavaca, Mexico, moving back and forth between there and Houston, Texas, until his death a decade later. 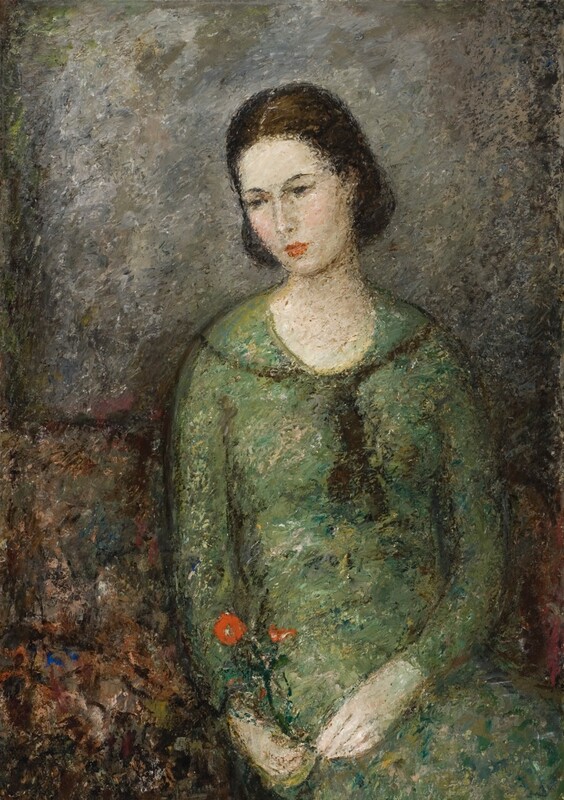 In 2010 Columbia University received from the Stillman-Lack Foundation a collection of art works by Stillman, making Columbia the largest international repository of his works. Of the ninety works donated to the University, twenty-five have been allocated as gifts to graduating doctoral candidates in the Department of Art History and Archaeology who are recipients of a Stillman fellowship. These fellowships, awarded to Ph.D. students in the field of modern art, honor the legacy of Ary Stillman and his contributions to mid-century modernism. The remaining sixty-five paintings, drawings, watercolors, and prints are part of the University art collection, housed in and stewarded by Art Properties, Avery Library. (You can read more about this fellowship and gift by clicking here). In 2016 Columbia received from the late Jane LeMay Lodge a gift of an additional Stillman painting entitled Medieval Symbols (Musical Manuscript), 1963-65, to join the works previously donated by the Stillman-Lack Foundation. 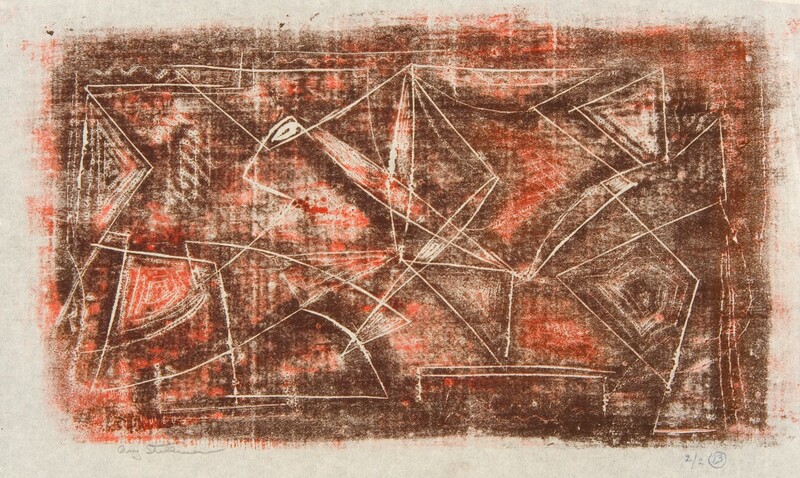 Click on this PDF document for more information on the art work by Stillman in the Art Properties collection. The Ary Stillman Collection is available for consultation by Columbia students, faculty, staff, and outside researchers, and for curricular and educational programs, research projects, and exhibition loans. For all requests and uses, contact Art Properties at artproperties@library.columbia.edu. For more information about Stillman and his art work, consult the sample bibliography below. Links to records in CLIO have been provided for books in the Columbia University Libraries. This is not a complete bibliography; researchers also should consult periodical indexes and databases for more information. Ary Stillman. Houston: Stillman-Lack Foundation, 1967. Ary Stillman. Atlanta: Stillman-Lack Foundation, 2007. Genocchio, Benjamin. “From the Summer of '50, Luminous Drawings In Multiple Layers of Charcoal and Pastel, Ary Stillman's Creations Revel in Intensity.” The New York Times, August 19, 2007, P10. Paglia, Michael. “At the Singer Gallery, Ary Stillman Gets His Moment in the Light.” Westword, March 5, 2009, n.p. Wechsler, James, ed. 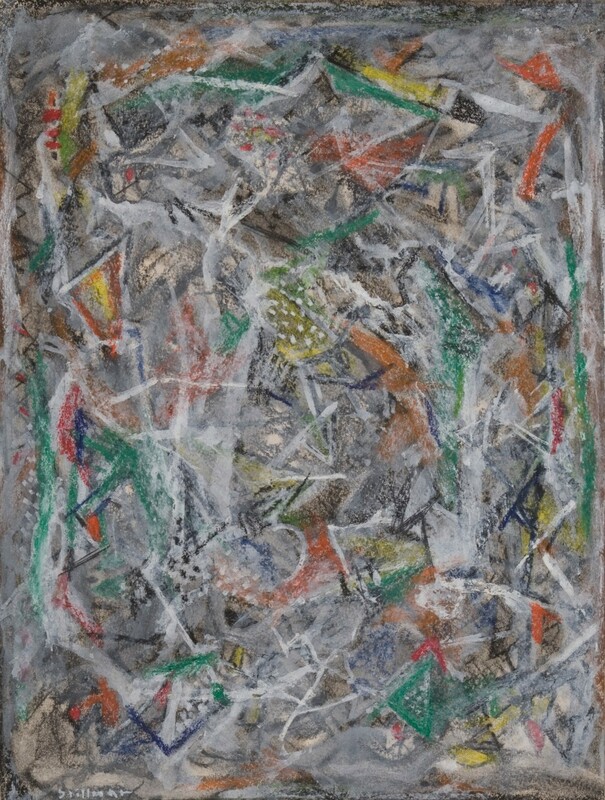 Ary Stillman: From Impressionism to Abstract Expressionism. London; New York: Merrell, 2008.